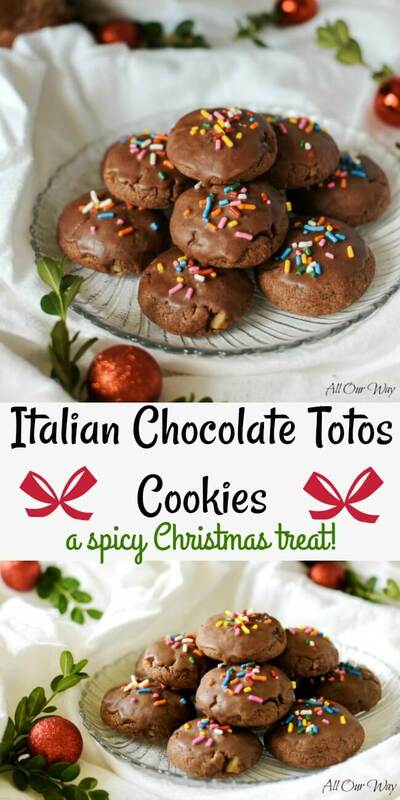 Italian Chocolate Toto Cookies are spicy balls made with walnuts, mini chocolate chips, cocoa, and orange flavoring. These Christmas cookies aren’t overly sweet. Instead, the sweetness comes from the chocolate orange glaze and rainbow sprinkles. The treats are so popular you’ll find them on cookie trays for every special occasion. Italian Chocolate Toto Cookies by any other name still taste as good. Many know them as Dudu’s or Tetú’s. If you ask for Meatball Cookies, they’ll know what you mean. 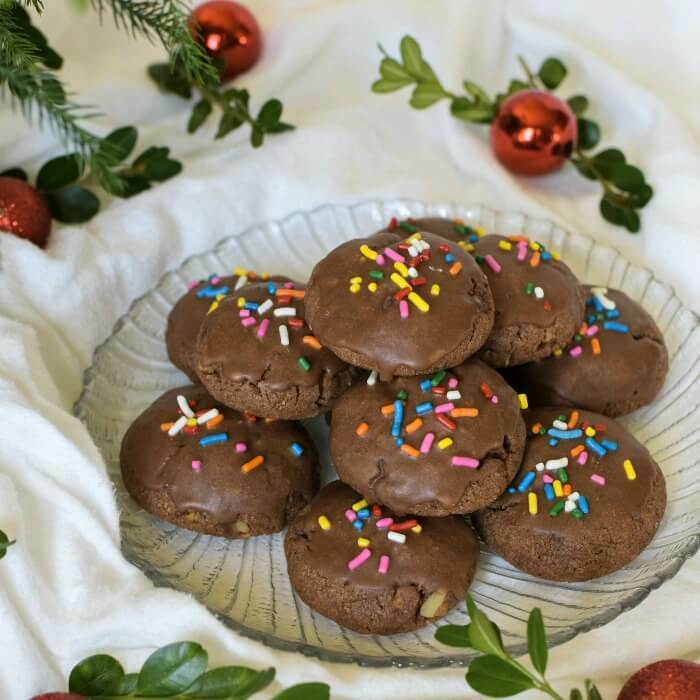 Inquire about an Italian Christmas Cookie recipe, and you’ll get directions for Italian Chocolate Toto Cookies. Ask for Ball cookies? You’ll get the same. Chocolate Wedding Cookies? Ditto. Every nonna and mamma will swear that theirs is the only traditional recipe. It doesn’t matter. They all taste delicious. But before I continue with these holiday cookies I have to tell you about our #GlobalFoodies. Our group wants to share a Chocolate Christmas with our wonderful readers. We’ve put together some wonderful chocolate recipes for you to try and they’re all delicious! Check out the links below — you won’t be disappointed!! Germany has a tiny spice cookie, Pfeffernüsse, that is a lot like Toto. They both have pepper in the ingredients as well as a gingerbread aroma and taste. The German biscuit, though, does not have cocoa or walnuts in it. Mamma didn’t make cookies. Our Christmas treats were fritole, strucolo, or pan dolce. Desserts were for special occasions only. I thought that the Christmas cookies would be hard to handle, but I was wrong. The dough is not sticky, and it’s easy to roll out. Forming the balls is a breeze! Honey and I were able to get four dozen made in no time. Once they cooled, we dipped the spicy cookies in a chocolate orange flavored glaze. The flavoring I used was Fiori di Sicilia from King Arthur Flour. I put Fiori di Sicilia in my pinza. The aroma and taste is a combination of vanilla and orange. It’s fantastic in any sweet bread or cookie recipe that calls for either vanilla or orange. This Christmas include Italian Chocolate Toto Cookies on your dessert tray and prepare yourself for heaps of compliments! 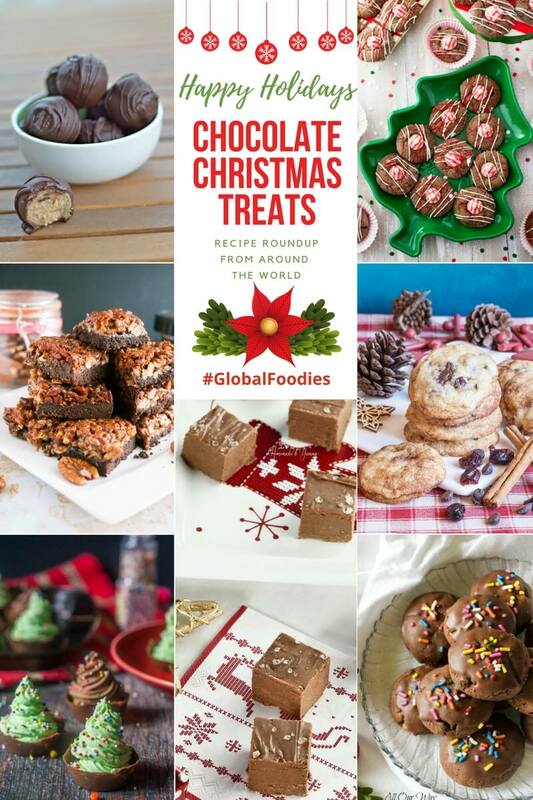 Be sure to try out the other delicious chocolate goodies that our #GlobalFoodies made. Note: Recipes and content from @2017 All Our Way are copyright protected. Please do not use content or recipe without prior written permission. If you want to share the information, please link to this post. Grazie. Totos are Chocolate Italian Christmas cookies studded with chocolate chips and walnuts. Cinnamon, cloves, and pepper spice these delicious bicuits with an underlying note of orange and vanilla. Preheat the oven to 350 F (180 C). Lightly spray parchment paper and place on cookie sheets. Sift all the dry ingredients together on to wax paper. Repeat this several times to thoroughly combine the ingredients -- I did it 4 times. Put the dry ingredients into the bowl of a food processor. Add the shortening. Pulse the processor several times until the mixture resembles coarse meal. (You may do this by hand but it's quick and easy with the processor. Combine the Fiori di Sicilia with 1/2 cup of milk. Pour the dry ingredient mixture into a large bowl. Add the chopped nuts and chcolate chips and stir to combine. Add the milk to the dry ingredients and work it in with your hands until it is well blended. If it seems too dry add the additional milk until the dough holds together but isn't sticky. On non-stick silpat or a wooden board knead the dough a few times. Then cut into four equal parts. Roll each piece into a long rope. Cut that rope into 12 even pieces. Make a ball out of each piece and then put the ball on the parchment paper. Place 1 inch apart on the paper. Continue with each rope. Bake for 15 to 20 minutes or until they are firm. While the cookies are cooling make the glaze. Sift the Confectioners' sugar and cocoa several times until both are combined. Put the mixture in a bowl and add the 3 Tablespoons milk and the flavoring. Beat until smooth. Add additional milk if necessary to make a thin frosting. Once the cookies are cool, dip the tops into the icing, place on racks that are over wax paper (to catch the drips), and sprinkle with the colored spinkles. Let the frosting dry completely before layering the cookies between wax/parchment paper. 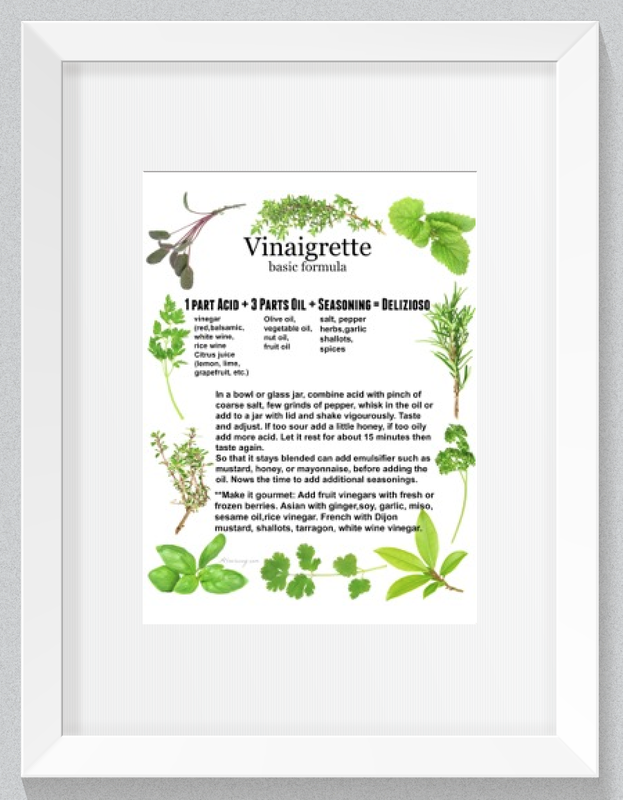 They will keep in an airtight container for up to 1 week or can be frozen for up to 2 months. Inspired by Ciao Italia's Biscotti al Cioccolato con Pepe Nero. Oh my goodness, these look divine! I don’t think I’ve ever had this type of Italian cookie (shocking!) and now they will definitely need to make an appearance on my cookie trays this year. Black pepper in cookies is always such a nice pop of spice (love the German variety), but I adore that it’s paired with chocolate here. Can’t wait to make them and share them with my friends and family! Yes! Meatball Cookies! I grew up calling these meatball cookies, but I’d forgotten all about them. It’s been so long since I’ve had them. I think Chocolate Toto Cookies is a much nicer name. I could practically bathe in Fiori di Sicilia! That extract makes cookies and baked goods so wonderful. I’ve never heard of these type of cookies. All those spices—especially the pepper—would be so tasty mixed in with the chocolate. I love the how beautiful the finished product is too. Gorgeous. I’ve never had toto cookies before, but you had me at black pepper! I love that the sweetness comes from the glaze and sprinkles and lets the flavors in the cookie really shine. This is definitely going into my cookie exchange! The first time I saw black Pepper in a cookie recipe I thought I misread it. I was so intrigued, I had to make it. Turns out the heat from the black pepper is similar to ginger snaps. It’s kind of brilliant really. Your Italian cookies look and sound amazing, I love your photography, you make everything look so amazing. Thanks for sharing this! These look delicious! My grandmother like your mother-in-law would make cookies for weeks. As a child and as an adult I was amazed every year when she would pull out a giant assortment on a plate while we visited. As a child I loved helping to bake them even more. 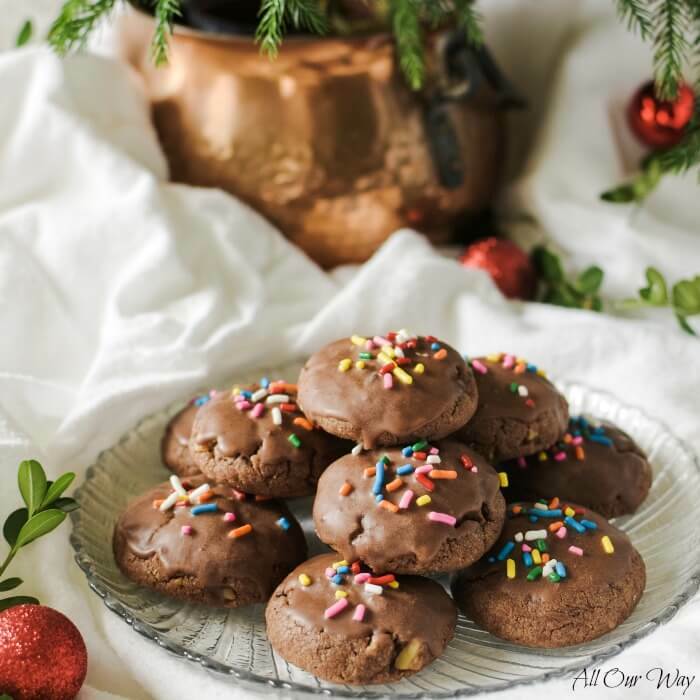 I love these chocolate spiced cookies sound, they will make a great Christmas treat! These cookies are drool worthy! They look so chocolate-y and delicious. I never thought to combine chocolate with black pepper through. What an interesting thought, I’ll have to try this recipe ASAP. My mother in law is the same! Starts baking cookies and treats sometime after Halloween and goes through New Years! When we visit her kitchen counter is covered with tins filled with so many different kinds of sweet things! These cookies sound like such a perfect balance of savory and sweet. I’m sold!! Hi, Christina! Are you sure we’re not related through marriage? Sounds like we could be talking about the same Mother-in-Law. She sure was the best mother-in-law a girl could have. Have a Happy Thanksgiving! Black pepper! I love a savory punch to sweets, so that sounds amazing. I mean, you can’t really go wrong with Italian cookies anyway. I truly can’t wait to try these. They sound so different and fun! Helen sounds like she was my kind of lady! Meatball cookies, huh? Oh I love you Italians! 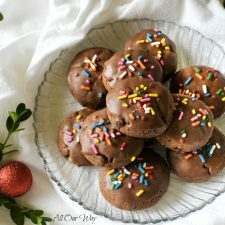 I think I have everything I need to make these in my pantry – adding them to my cookie list this year! Chocolate and orange are such a classic combination and happen to be one of my personal favorites. I’m always looking for new Christmas cookies to make — and each year, I try a different one. I’m going to order this vanilla orange flavoring so that I can try your recipe. BTW – your photos are mouthwatering — and I love those sprinkles on top! Not only do these cookies sound delicious, that whole collection of treats do too. I have not started my holiday baking yet, but I have been making my list of ingredients for shopping. I just might have to fit these into the collection. After all you can never have too many holiday sweets. That chocolate toto cookies looks delicious, my kids will love it. I am going to give it try for my kids . I love chocolate and black pepper in my chocolate cookies. Love the name of these cookies – toto. So cute. I can’t wait to try these soon. I love these cookies, they have been a staple at all the Italian showers and events I have gone to for years! My Mother-in-Law used to make them all the time <3 I will have to whip some up for my hubby this Holiday season so we can share those special memories. How funny grandma made the same kind of chocolate cookies with cloves and cinnamon they are a favorite in our home and everyone calls them something different, she called them chocolate meatballs cookies. Yours would be devoured in a new york minute here! My grandmother used to make a TON of Italian cookies every Christmas. As a child, I surely didn’t appreciate them enough. Saving this to try soon – I’ so curious to see if it’s similar to one she used to make! I really appreciate the recipes where the sweetness comes from things like orange glaze. I think this is one of the best ways to add sweetness – it is healthy and incredibly flavorful. Well done! Oh, what a nice Christmas cookie. Great idea for a festive table. It look so yummy! I want to try it immediately. Wonderful combination of ingredients. Hi, Francine! No, mine don’t sweat and the frosting does stay hard. I haven’t had a problem with it. Try it with the milk and make sure it isn’t cold and you put it where it is super warm. I’m thinking of hot humid weather and cold cookies. Let me know how it turns out. I love everything Italian and these cookies look just delicious. I love the sprinkles for a colourful flair. Perhaps a nice Christmas gift or to take to a party. Just lovely! Hi, Cleo! Well, I can’t fault you for loving everything Italian, I do too. 😉 The cookies store beautifully and travel like troopers. Perfect for gift giving. These look so delicious! I’ve never tried anything like them before. I’ll have to try them for this Christmas! Cinnamon, cloves and peppers in a cookie! I have to try this cookie recipe soon. I love the combination of chocolate and pepper but have never tried them in a cookie.. I love the idea of adding pepper! These look great! Thank you, Sarah! Hope you have a very Merry Christmas! Traditions at Christmas are some of the best reasons to get baking. These toto cookies are just perfect for little bites of deliciousness, not overly sweet but a treat all the same. Thank you, Helen! It’s always fun to try something new but holding on to traditions too. Hope your mum is doing better. These look yummy!!! I love a good cookie and I bet these would be perfect for a cookie exchange! how unique! Hi, Amanda! They’re great because they not only taste delicious but they travel and store well. So many flavors in just one cookie! I can’t imagine how that will taste like but they do look delicious. It’s a good way to try something new besides the same old butter, flour and milk cookies. Thanks for sharing! These look delicious – I just love that the cookie itself is not overly sweet. Also, I never thought of buying extracts like this online from KAF, but what a wonderful idea! Hi, Monica! The Fiori di Sicilia is different enough that it imparts a unique flavor to whatever you bake. Love using it!! I love unusual flavor combos and these cookies sound like I would love them! Definitely on my list to try. I dunno if it’s my morning hunger or my monitor but the cookies looked almost 3-dimensional in depth. Great use of light! It took all my willpower to stop from reaching out to grab one and punching a hole through my monitor! And yes peppers with chocolates work better than one would think! Oooh perfect timing! We love to make lots of new cookie recipes during the month of December and we are starting tomorrow, adding these to the list! Oh my goodness these are perfect for a cookie exchange. Pinned to make later this week! So beautiful and the perfect holiday cookie! I love learning about all the different Christmas traditions! Hello, Prasanna! Many countries have spice cookies with pepper. It is surprising that it’s in a dessert. Hi, Lori! Thank you for commenting – the link party is great for sharing. I agree, Helene! Citrus is really big in Italy and orange is quite popular at Christmas. Your Italian boss will give you an abbraccio forte! Those cookies look and sound amazing. I love the chocolate orange combo in the glaze, too! These are beautiful! I love Italian cookies and the flavors of orange, vanilla and chocolate here go so well together! I’m intrigued with the use of black pepper; can’t wait to try it! I love the flavor combo of these cookies. Orange and chocolate taste so good together. Then add some spice from black pepper! I bet they are delicious. I have never made a cookie with black pepper in it. This does have some interesting flavor profile. I have never tried Italian wedding cookies either so now I HAVE TO! on my wish list to make soon. I’m so late with my Christmas preparations this year it’s going to be stressful. Hi, Veena! Would you believe there are a lot of European cookies with pepper in them. But you really can’t taste pepper, just a slight spice. They are great! If you need to make cookies to send to someone — these are it. I am totally loving the flavour profile in these cookies. I have not started baking yet…so now I am getting stressed. My grandson is already asking “Gramma what are you going to bake”. They are coming for a sleepover this weekend….maybe I should get him to help me. One of my absolute favorites!! Wouldn’t be Christmas without them!! What an interesting combination of flavors! I’ve never met a cookie I didn’t love and this is no exception. I think my hubby would love these. He’s not a sweets person but these may be the perfect balance for him. I know about the super sweet! We’re the same way. I think these have just the right amount of sweetness.Even Hubby, I think, would enjoy them. It is cookie making time! Yummy. These look so good Marisa. I love chocolate and black pepper together! These look delish, Marisa! Pinning so I can try them AFTER the holidays when I catch up. Thank you, Marye! They are good and they store great.